We are delighted to share a blog written by Urban Eco, students at Modern Montessori School who are part of a team delivering a Global Goals project for the 2018-19 Global Goals Competition. This was a prosperous experience bringing passion through teamwork and working effectively, in order to raise awareness on the importance of being eco-friendly by simple means in our urbanized community. People are not amply aware of the environmental corruption that we’re going through and its negative consequences. Thus in our project, we are aiming to raise awareness by fulfilling a gap in our local market. 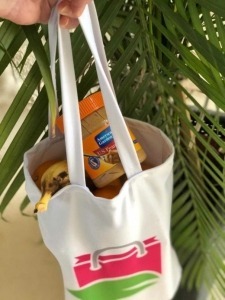 Reusable fabric bags will be sold at symbolic prices in grocery stores. With that, we will reduce the number of plastic bags being used, which are destroying our environment. Second, we will be raising money for the less fortunate families in our community and buying them a source of heat. We are carefully moving forward, to ensure efficiency and accuracy. So far, we have implemented the fabric, scraps obtained from a local fabric store. The fabric is now being sewed and the logo is being printed on it. 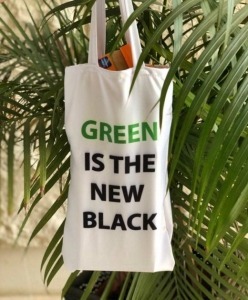 We experimented with one of the resulting fabric bags to assure its durability and all aspects that must be covered,such as the right color, design and so on. We have developed diverse skills by working in the GSL Global Goals competition, teamwork being first. We have allocated roles and parts in the equally among our team members, based on everyone’s skills and talents, like creativity, illustrating and building. In addition, brainstorming and researching are vital skills that we have been growing through the project, as we worked collaboratively on gathering data and reading articles, surfing the web and many other research methods. 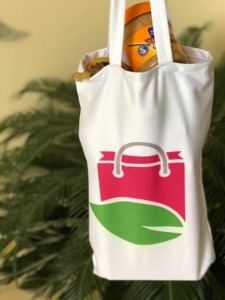 Our biggest challenge is to get people in our community to replace plastic bags with fabric bags that are sustainable, eco-friendly, practical and effective. Yes, we would recommend that they get involved in such an adequate community and environmental cause, since we are the leaders of tomorrow; we need to have as many beneficial experiences as possible. We would love people our age to benefit the same way we have from this project.